How can a window installation company capitalize off of the digital age? By building a website that showcases their expertise and turns viewers into prospective customers. Window dealers can use their website to increase their exposure and capture prospective customer’s information (like email and phone number). 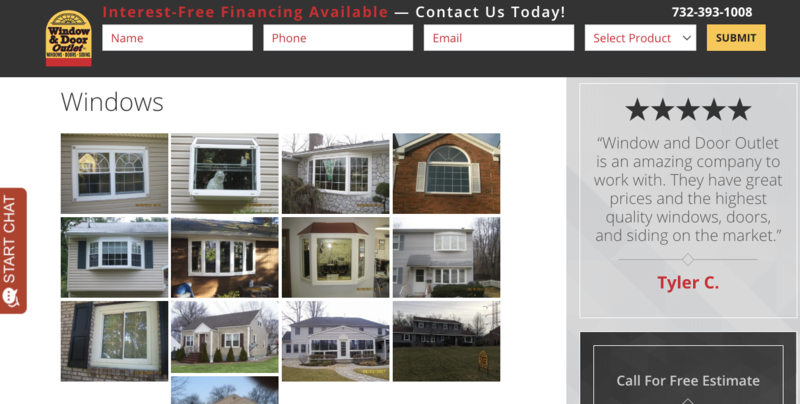 Here are the seven must-haves for any window dealer website. Navigation refers to the menu of your website. Most of the time this menu is located at the top of your website and gives users the option to click on webpages like, “Home”, “Contact”, and “About Us”. Below, navigation is the “Home”, “About”, “Menu”, etc. portion that the arrow is pointing to. This navigation is an important part of your website. It’s the directions you are giving viewers as to how they can contact you, learn more about you, or schedule a free consultation. Your homepage is designed as a lead capture form. In digital marketing, lead capture refers to collecting an email address or phone number. The goal is to get the contact information for as many website users as possible so you can follow up with them. Capturing website user’s information is like having them hand you their business card. You’re now able to continue to market your services to them through digital marketing strategies like email sequences, which we cover in, A Definitive Guide To Digital Marketing for Window Professionals. Taylor Ray Construction LLC, does a great job at placing call-to-actions on their website. These call-to-actions are the search bar and clickable buttons that tell the user to take a specific action. On their homepage are several call-to-actions to get a quote or schedule a consultation. Each section of their homepage has a call-to-action integrated into the description of their services, their process, etc. In their above-the-fold content, the part of the website that a user sees without scrolling, Taylor Rae has two call-to-actions. The first is the navigation menu. The second is the orange button that says, “Schedule a Consultation”. The key to call-to-actions is to figure out what value the user can receive by clicking on the button. For example, instead of saying, “Purchase Your Window Package Here”, you can say, “Find Popular Window Styles For Your Home”. The difference between these call-to-actions is the first asks for a commitment. The user assumes that by clicking on “Purchase Your Window Package Here”, they’ll be committed to buying windows from you. In the real world, this is like asking somebody to marry you on the first date. Instead, ask them to find the windows that work best for their home, or in the dating world, to go on a few dates first. Website users don’t assume that you’ve done a great job with client’s windows. They need to see, that you’ve done a great job with client windows. They’ll see this in your project gallery. 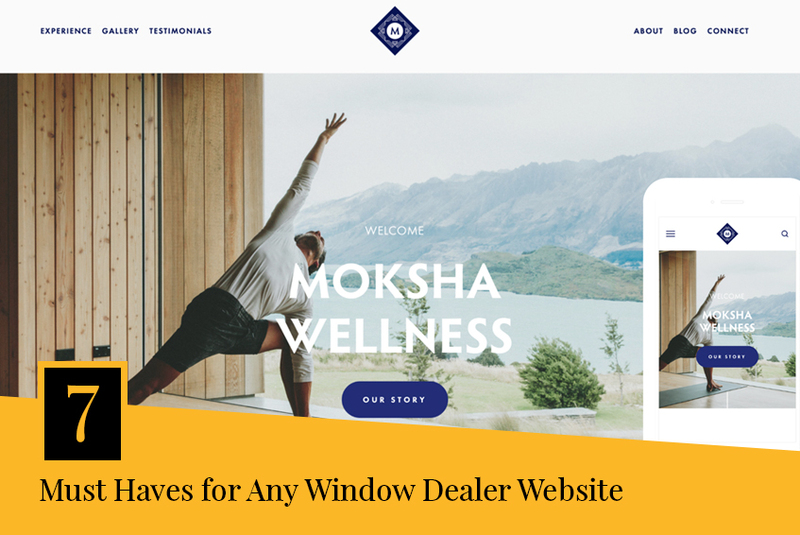 Website builders like Squarespace and Wix make it really easy to showcase your past projects in an aesthetically arranged gallery. The key to your project gallery page is to make it as easy as possible for the user to find the window installations that most resemble the installation they are looking for. This is achieved through a navigation menu, like the navigation menu used at the top of your website, that categorizes different window installations. This navigation menu can be a drop down menu that appears when the user hovers over “Project Gallery” in your main navigation menu. For example, for this interior designer’s Project Gallery, their drop down menu gives three options: Residential, Commercial, and Non-Profit. An About Us Page seems like it should be about your company, and with good reason. Yet, this isn’t the purpose of your website. Your website is designed to make users choose you for their window installations, not make them read 500 words about how your business started. Who is our ideal customer? In this case, your ideal customer is a homeowner in your area that needs new windows. What does our ideal customer want? They want new windows from a window installation company they can trust to get the job done. How do you show them the window installation company they want to work with is yours? If you need more information on the window installation process, when to know that you’re paying too much for window installation, or what windows your home needs, read our blog here. Notice that this About Us page hardly talks about who you are, it talks about how you serve customers. It also integrates two call-to-actions. The first call-to-action is to read the blog. Each blog article then has a call-to-action for a free consultation. The second call-to-action is to schedule a free consultation. What this does is give the user two options to continue navigating through your website, one small commitment (read a blog post) and one larger commitment (schedule a consultation). This choice can increase your chance of turning that user into a lead by capturing their information. The user that clicks the blog post will again be asked if they want a free consultation. The user that agrees to the free consultation shares their contact information with you. When a website user clicks on your Contact Us Page, they go from a cold lead to a warm lead. Their interest in contacting you tells you they are very interested in window installation. Your Contact Us Page needs to resemble your main navigation menu, simple and to the point. What do you want users to do when they reach your contact us page? Over 50% of website browsing is done on mobile phones. This means that over 50% of your prospective customers are viewing your website on a mobile device. Optimizing your website for mobile phones is not a question, it’s a necessity. Most website builders, such as Squarespace, Wix and some Wordpress templates will automatically optimize your website for mobile users. Optimizing your website for mobile means that it looks, loads and interacts well on both a desktop and a mobile device. For example, your project gallery page needs to look just as good on a mobile device as it does on a computer. 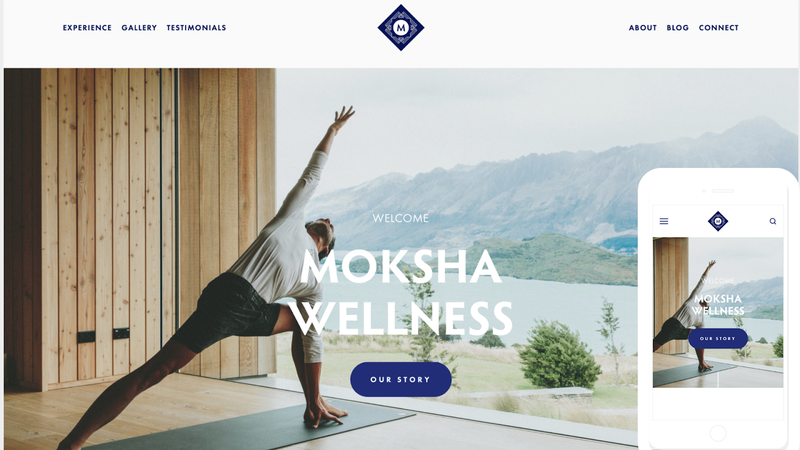 Here is an example of a Squarespace website template on desktop and the optimized version for mobile. Another reason to ensure your website is optimized for mobile devices is because Google favors optimized websites over non-optimized websites. It’s Google’s job to connect their users with the website that answers their question. If a user can’t find what they are looking for on a website and immediately leaves, this penalizes the website in the Google search engine optimization. This means that your website can be moved further down the search rankings because Google doesn’t see it as a valuable website. Google likes mobile optimized websites and they like websites that load quickly. Part of a search engine optimization (SEO) strategy is to make sure that your website is friends with Google. Being their friend involves playing by their rules, make your website a valuable source of information for Google’s users. In this case, Google wants their users to have the answer to their search query fast. If your website can deliver that speed, Google will favor you. To find out how fast your website loads, paste your URL (www.yourcompanyname.com) into a website speed testing program like, webpagetest.org. The program will tell you how fast it takes for your website to load and will give you specific recommendations as to how you can make it load faster. On top of making friends with Google, you want to make your website as user friendly as possible. There is a 25% page abandonment for websites that take two seconds to load and that abandonment increases to almost 40% if the page takes ten seconds to load. Online users are showcasing an increasing impatience with websites that don’t load in under two seconds. To avoid losing half of your online traffic, use programs like WebPageTest.org to find out how to make your website load faster. 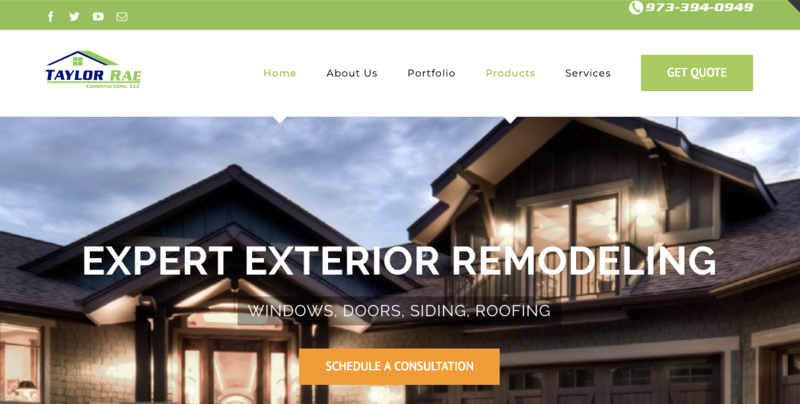 Window installation companies can capitalize off of the digital age by creating a website that increases their exposure and collects the contact information of prospective clients. 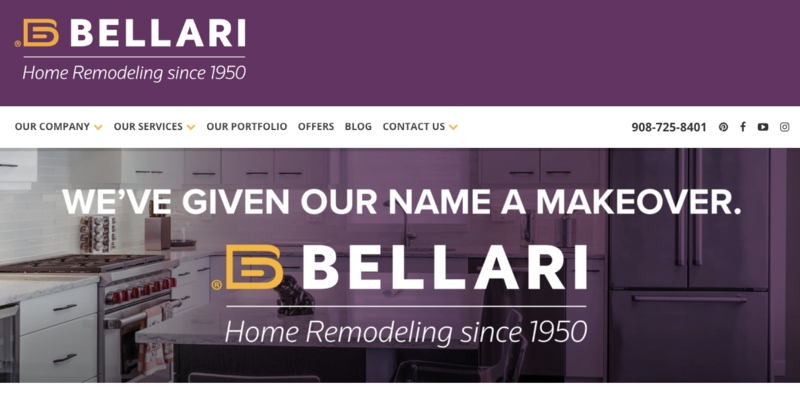 Use these seven website elements to create a positive user experience that showcases your company’s window installation expertise.